Former South Africa all-rounder Lance Klusener has been named as the consultant coach of Delhi's Ranji Trophy team for the upcoming 2018-19 season. While former Delhi skipper Mithun Manhas will be the chief coach, Klusener's appointment is certainly the most high profile among the support staff across domestic teams. "Lance Klusner will be Cricket Consultant of Ranji Team of DCCA for One day tournaments starting from 19th September ( Vijay Hazare trophy and Deodhar Trophy) and domestic T20 tournament scheduled in February 2019," DDCA president Rajat Sharma told PTI today. "His role will require his services alongside the main coach and all the other coaches in the team," Sharma added. 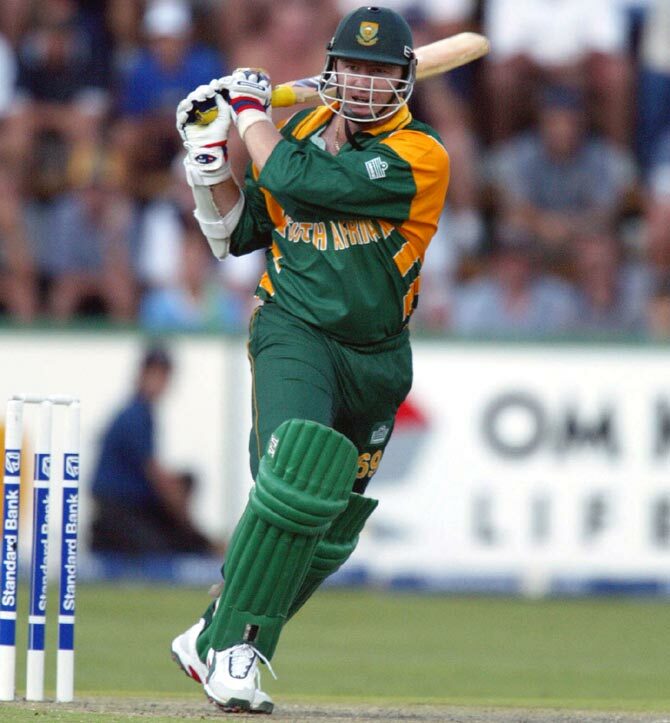 The 46-year old Klusener had played 49 Tests for South Africa with 1906 runs and 80 wickets in his kitty. He had four Test hundreds and best bowling performance of 8 for 64. However, it was the ODI format where he came into his own in the 171 games in which he scored 3576 runs and took 192 wickets. The highlight of his career was the 1999 World Cup where he was adjudged Player of the Tournament. Meanwhile, the DDCA has also announced the names of the coaches for the various age group teams. For the U-23 team, T Anand will be the chief coach with Hitesh Jain and Robin Singh Jr being appointed batting and bowling coaches respectively. In the U-19 team, Rajeev Vinayak will be the chief coach with NS Negi as the assistant coach and V Aravind as the bowling coach. In the U-16s, Pankaj Joshi will be the batting coach while Arun Singh will be the bowling coach. For the U-14s, Pradeep Chawla is the batting coach and Joginder Singh the bowling coach. The women's selection committee was also announced with Anjum Chopra, Jaya Sharma and Renuka Dua being the members of the senior panel. The junior women's committee comprise Amita Sharma, Reshma Gandhi and Vandana Gupta. Banned former Australia captain Steve Smith is cutting short his time with the Caribbean Premier League's Barbados Tridents and heading home after suffering an abdominal tear. Smith, serving a 12-month ban from international cricket for his part in the Cape Town ball-tampering scandal, missed the Tridents' defeat to the St Lucia Stars and would play no further part in the Twenty20 tournament, his team said. "He had a slight tear and he had to go back, so it’s a really unfortunate situation," Tridents captain Robin Singh said. The injury is not expected to prevent Smith returning to domestic cricket later this month. Although banned from playing for his home state New South Wales, Smith is scheduled to turn out for his Sydney club side Sutherland on September 22, Cricket Australia's website said. Signed as a replacement for Bangladesh's Shakib Al Hasan, Smith scored 185 runs in seven innings for the Tridents and claimed three wickets. His ban ends in March 2019 but he will be suspended from leadership roles for a further 12 months.